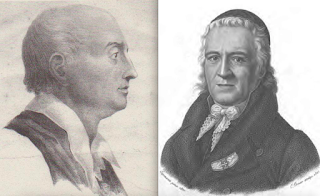 Karl Leonhard Reinhold received a copy of Salomon Maimon’s book on Kantian philosophy Worterbuch der Philosophie in 1791 through a mutual friend K. P. Moritz, and he promised to review the book and also expressed a willingness to get into correspondence with Maimon. As Reinhold was the foremost Kantian scholar of that period, Maimon, eager to prove his superior understanding of Kant, immediately wrote to him. But their correspondence did not go well; it quickly deteriorated into an acrimonious exchange in which the two Kantians disagree over a number of issues. Maimon and Reinhold's acrimonious correspondence ranges over a number of issues, but perhaps the most important concerns the justification of Reinhold's first principle, the proposition of consciousness. In his opening letter Maimon bluntly tells Reinhold that this principle is vulnerable to skepticism. It cannot answer the simple skeptical question 'How do I know this?' he claims. Of course, this principle is supposed to describe 'a fact of consciousness'. "But," Maimon asks Reinhold, "how do you know that it describes a fact? ... And, indeed, how do you know that it describes a primary and immediate fact rather than a derived and mediate one?" Reinhold's response to these aggressive and difficult questions did not satisfy Maimon, who quickly insinuated that his correspondent was being deliberately evasive. In his first reply Reinhold proudly states that his first principle could demonstrate the fundamental beliefs of morality and religion. "But that is not the question," Maimon impatiently answers. "The issue is not whether this principle can demonstrate others, but whether it is true." Reinhold seemed to be forgetting that we might deduce true propositions from false premises. After further attempts by Maimon to pin him down, Reinhold finally states his bottom line: "All philosophy must begin with self-evident facts," he writes, "and these are indemonstrable since they are the basis of all demonstration.” But this stance only increased Maimon's exasperation. He again protests that this was not the point. "Of course all philosophy must begin with self-evident facts," he concedes, "but the question is how we know the principle of consciousness expresses such a fact." In the end the debate reached a stalemate. Reinhold assured Maimon that it was just a fact that the proposition of consciousness expresses a fact; and he pleaded that it would be self-defeating for him to justify this. But Maimon dug in his heels and refused to accept Reinhold's assurances, which he regarded as dogmatic. With the conservation having degenerated into mutual recrimination, in a fit of anger Maimon published their conversation (with Reinhold’s permission), leaving the public to decide who was right and who was wrong. They broke off their correspondence, but Maimon did not stop thinking about the difference between his philosophical position and that of Reinhold. In his later works, he further clarified his views and accused Reinhold of being dogmatic.